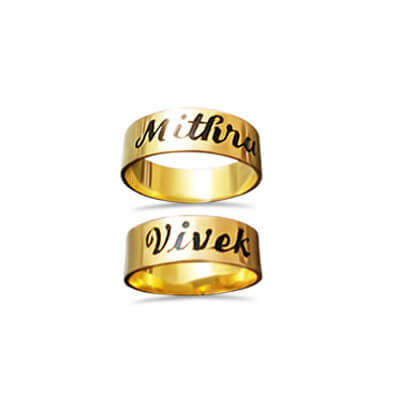 This couple gold ring with name is unique Indian style for wedding or engagement. Hold your loved one's name closer to your heart. We know you are “Made for Each Other” and here we are helping you express the same. 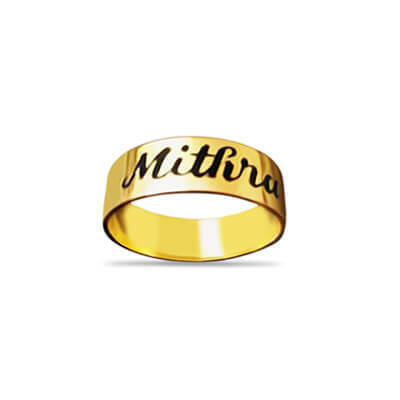 This personalized name engraved ring works good for many occasions including engagement, first year anniversary or any other events involving both of you. 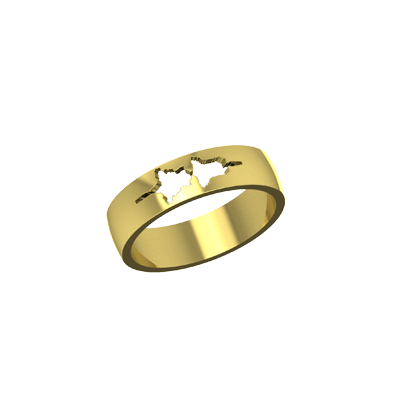 These can be made as platinum rings with names engraved on them as well. 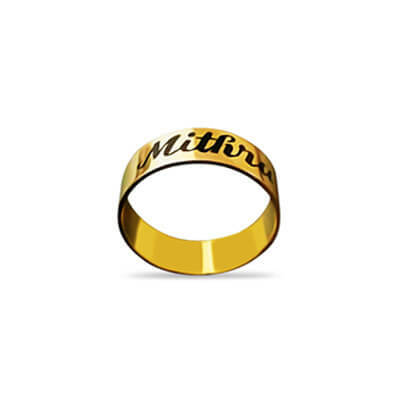 The Pricing For this Product assumes the Men’s Ring is of 4 Grams, and Women’s Ring is of 3 Grams approx. The final pricing you see here is also an approximate, so we request you to get in touch on Whatsapp or Call us before placing the order. Hold your loved one’s name closer to your heart. We know you are “Made for Each Other” and here we are helping you express the same. 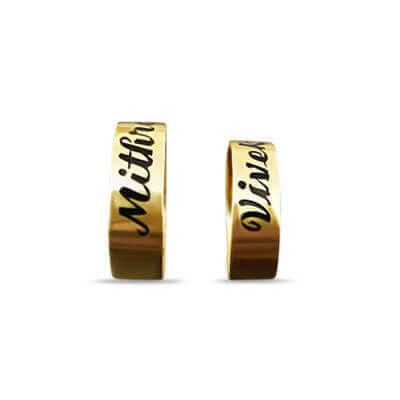 This personalized name engraved ring works good for many occasions including engagement, first year anniversary or any other events involving both of you. This etching will help you keep your loved ones together! 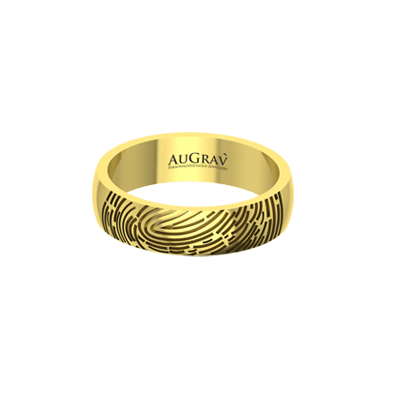 Name Engraved Ring Overall rating: 4.7 out of 5 based on 235 reviews.